In the following video, Tucker Carlson makes an extremely good point. 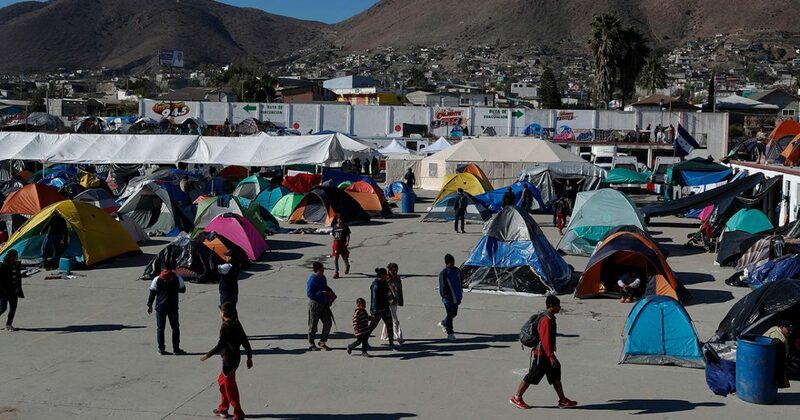 While all of the attention is being given to migrants who believe it is acceptable to violate American law and enter the country illegally, then apply for asylum and let the American taxpayer take care of them and their kids, and immigration advocates are praising the migrants as America’s saviors, coming here to work, replacing American workers because of our low birth rate, no one is considering the young Americans that the migrants are replacing. What about them? Who cares about them? Carlson asks the tough question. When his guest justifies uncontrolled immigration into the US by claiming that migrants are actually America’s saviors, replacing American workers who don’t exist due to the country’s low birth rate, Carlson stops him in his tracks and turns the discussion around, asking why America has such a low birth rate, asserting that it is because young Americans cannot afford to raise families. If uncontrolled immigration, legal and otherwise, is being hailed as a wonderful thing for America because young Americans are not having children, who is asking the question, “Why aren’t young Americans having children?” Apparently, no one except Tucker Carlson. While many young Americans in their 20’s and even 30’s still live with their parents because they can’t afford to buy a house or even rent an apartment of their own, let alone get married and afford to raise families, the bleeding hearts are all about the poor migrants, just decent and wonderful people (many with tattoos on their faces, as is often the case), who have come to America to save it from itself, replacing American workers who are disappearing due to the country’s low birth rate. Truly sad. Take our poll following the video. Let us know what you think the answer is to uncontrolled immigration. What is the answer to uncontrolled immigration into the US? America is a country of immigrants. Let them all come. No limit. Deport all illegal immigrants and build the border wall. Control (limit) all immigration, legal and illegal.